Horses have shown themselves capable of integrating human facial expressions and voice tones to perceive human emotion, regardless of whether the person is familiar or not. The results of the recent study in Japan showed that horses possessed high communication capabilities, and can read the emotions of their peers through facial expressions and contact calls, or whinnies. Dogs are known to relate human facial expressions and voices to perceive human emotions, but little is known about the ability of horses in this sphere. 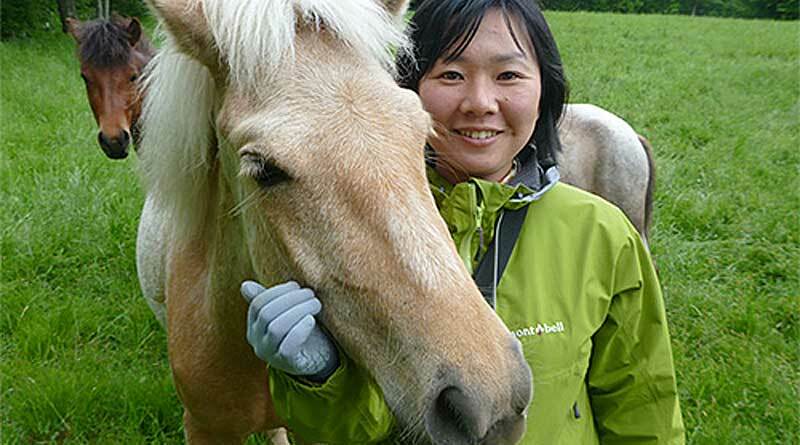 Hokkaido University Associate Professor Ayaka Takimoto and her colleagues, writing in the journal Scientific Reports, described a study in which they investigated whether horses cross-modally perceived human emotion by integrating facial expression and voice tone. They also tested whether the familiarity between the horse and the person affected the horse’s perception. They used what is known as the expectancy violation method, which has successfully been used to study infant cognitive development. Horses were shown a picture of a happy facial expression or an angry facial expression on a screen, and they then heard a pre-recorded human voice ­– praising or scolding – from a speaker behind the screen. Horses received both the congruent (matching) condition, in which the emotional values of facial expression and voice tone were matched, and the incongruent condition, in which they were not. The results suggest that horses integrate human facial expressions and voice tones to perceive human emotions, meaning an expectancy violation occurred when horses heard a human voice whose emotional value was not matched with the human facial expression. “Our study could contribute to the understanding of how humans and companion animals send and receive emotional signals to deepen our relationships, which could help establish a better relationship that emphasizes the well-being of animals,” Takimoto said. The researchers said the study was, to the best of their knowledge, the first to show that horses cross-modally recognized the emotional states of their caretakers and strangers. “In addition, these results indicate that interactions involving emotional information, such as facial or voice expression, have played important roles in the social signals of horses throughout the history of their cooperative relationship with humans. The full study team comprised Takimoto, graduate student Kosuke Nakamura, of The University of Tokyo, and former Professor Toshikazu Hasegawa, of The University of Tokyo.